If you have a large family but don't like driving large cars, then the mid-size 2015 Journey is the answer to all your prayers. This sporty crossover has the space you need for your brood and the style and sophistication you need to go out with your spouse for a beautiful Hawaiian night on the town. Cutter CDJR Honolulu in Honolulu, HI, has a huge inventory of Dodge Journeys in stock. So what are you waiting for? If you're in Kailua, Hawaii Kai or Kapolei, be prepared to wow your neighbors with a new 2015 Journey in your driveway. With its aerodynamic exterior features and its comfortable tech-enhanced cabin, the 2015 Journey sets the stage for excitement. Even more thrilling is what's under the hood. The Journey offers two engines -- a 2.4L 16-valve 4-cylinder with 173 hp and a 3.6L Pentastar V6 with a whopping 284 hp. The 2.4L is mated to a 4-speed automatic transmission while the V6 adds two more speed for a total of 6. FWD is standard, but AWD is an option on all models except the base -- a nice alternative if you're looking for more traction on the road during Hawaii's massive downpours. And fuel economy doesn't falter on the 2015 Journey either -- you'll get an estimated 26 mpg on the highway with the FWD 4-cylinder. The there's no one-size-fits-all vehicle, and no one know that better than the engineers at Dodge, which is why the 2015 Journey comes in 7 models -- the American Value Package, SE, SXT, SXT Plus, Crossroad, Limited and R/T. 17-inch steel wheels, power heated mirrors, 2nd row in-floor storage bins and rear reclining and fold-flat seats are standard features on the budget-friendly All American Package. You'll also enjoy an audio system with cd and mp3 player and an electronic vehicle information center. Go up a notch with the SE and add LED tail lamps and an option for 17 or 19 inch alloys. The SXT and SXT Plus add satellite radio and Uconnect with Bluetooth (optional on the SXT.) The SXT Plus also treats you to a power driver's seat and 8.4-inch display audio system. Travel over to the Crossroad trim and add an optional Touring suspension and optional heated and leather seats, which come standard on the Limited, as well as the V6 engine. The R/T also comes with the V6 as well as a leather-wrapped steering wheel and premium audio with a subwoofer. 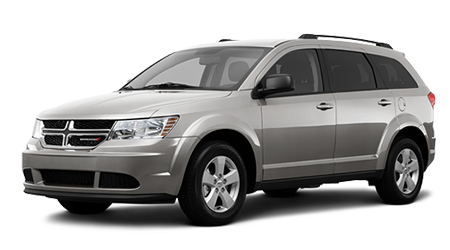 Cutter CDJR Honolulu, serving the communities of Kapolei, Kailua, and Hawaii Kai, are ready to serve you as well, especially if you're the market for a 2015 Dodge Journey. We're ready to deal, so come visit our showroom and let us make the car-buying experience as quick and easy as possible for you!